With the sunshine blazing, late this morning we took a refreshing walk through Queens Park. 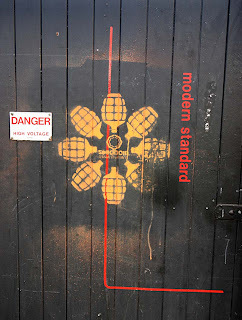 This time instead of restricting ourselves to the surrounding natural beauty, we thought we'd hit its streets too. I'm very familiar with this part of Glasgow as work or friends took me there, but its been a while since I wandered there without reason. For all the usual local hustle and bustle that takes place on Victoria Road, a main road in Glasgows Southside, you wouldn’t know that something different was happening in the area, but take a turn into Calder Street, Allison Street or Dixon Street and all this changes. 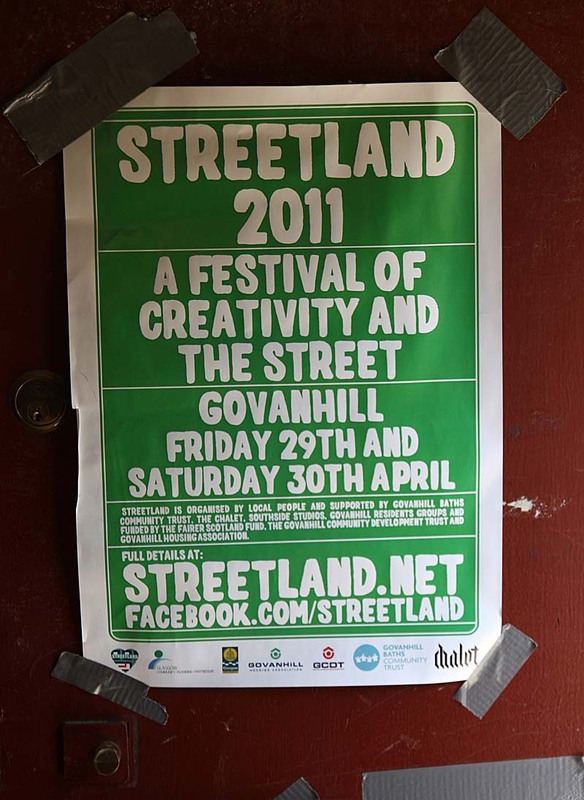 Streetland is a local festival of creativity and the street (taking place Friday 29 and Saturday 30th April 2011) in the heart of Govanhill. 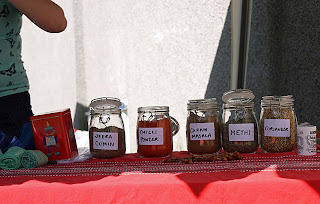 It is now in its second year, the festival organisers suggest a showcase for visual art, live performance (improvised soap opera), poetry, Bollywood dance, Roma music, street games, walking tours, an outdoor cinema powered by bicycle showing short films and animation that explore local projects as well as a number of interactive workshops. A worthy programme of events, although in truth these had to be teased out by the visitor as I found myself going round the streets, more than once. The initiative that got me most interested was the South Seeds: Seedlings for Change initiative. I was interested to see local community involvement as well as be inspired. Activities included mosaic making for bin shelters, seed planting and potting, seed bombing workshop and make over a local vegetable patch. Events such as these often take place in the West End of Glasgow. 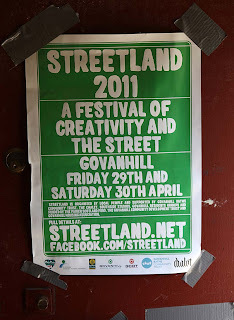 So for me this was rather refreshing and I applaud the Streetland Festival for casting a light on the Southside, and moreso on Govanhill as it has so much potential. Govanhill is perhaps Glasgow's most ethnically diverse area. 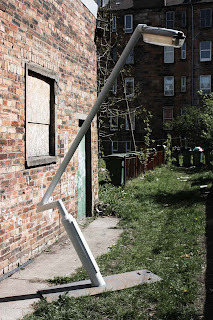 It certainly has the largest concentration of Pakistani and Roma families in Glasgow, and Scotland as a whole. It also has some of the most severe housing problems in the U.K with some flats being described as slums and for this reason it often gets negative press. 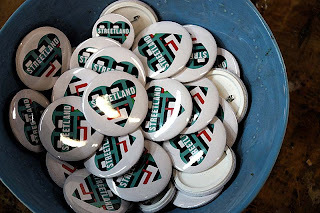 Today though it was about community spirit. 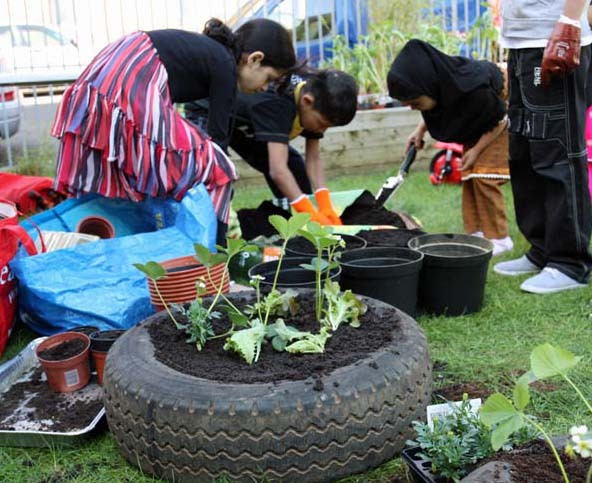 Local children happy to get their hands dirty at Westmoreland Street Community Garden. In its former life this derelict space was used for fly tipping and other anti-social behaviour. So this transformation can only be positive. 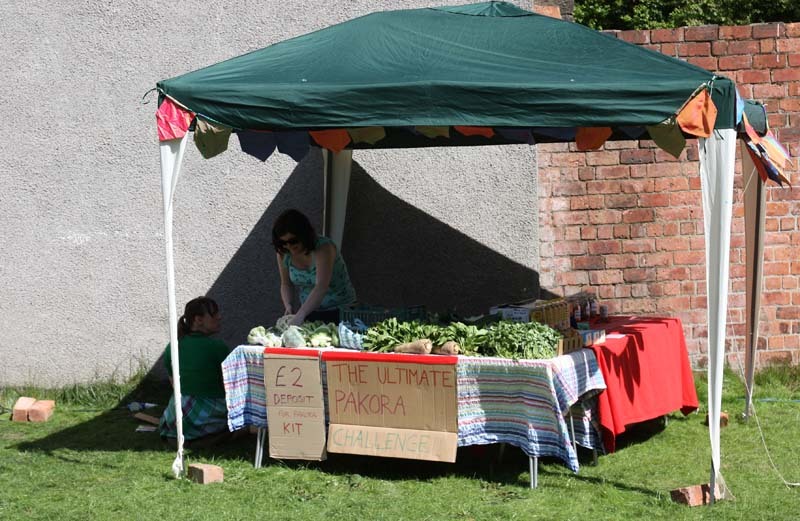 Local foodies are encouraged to pick up ingredients for the 'Ultimate Pakora Challange' and push their boundaries of what goes into the vegetable pakora. I wonder how my Wild Garlic pakora would do here, or even a Stinging Nettle pakora! 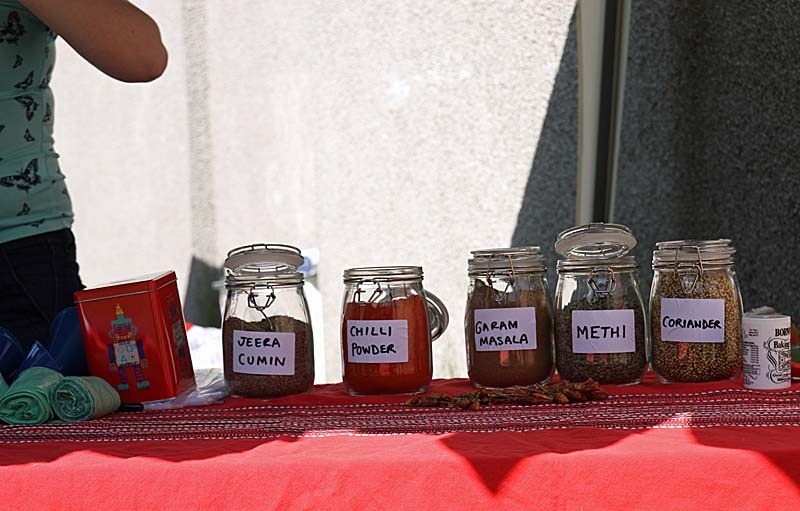 Some appealing pakora spices. I like the methi aka fenugreek leaves. 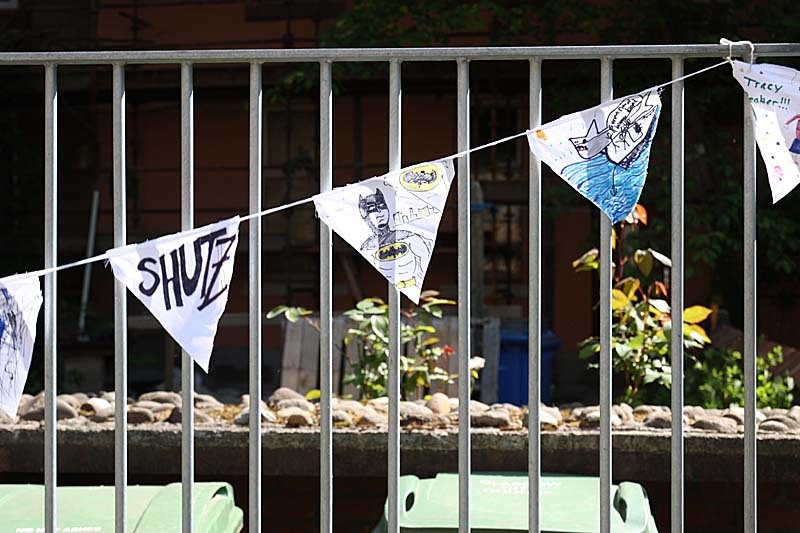 Bunting made with local community groups. Naeplace by Jamie Cooper. These broken forms of streetlamp sculptures in The Chalet's back lane. 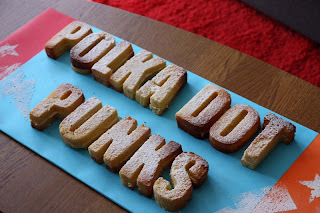 Among some established and emerging artists, we stopped and checked out various forms of creative art hosted by the Polka Dot Punks. We were warmly greeted as we winded our way up the stairs of their home. 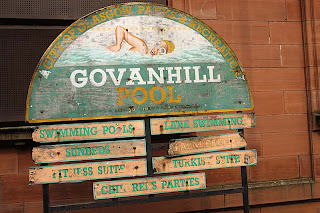 Govanhill Baths - sadly closed, but not for too long. 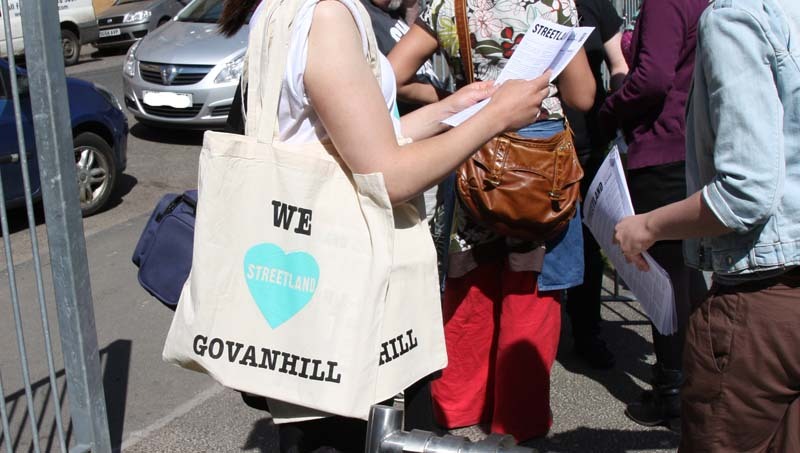 Throughout the year Govanhill Baths Community Trust puts on events to help raise awareness to the cause and to get people together in the community. 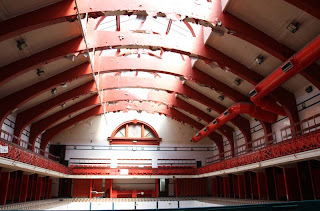 Its such a beautiful building and you can see why community events still take place here. Events in the past have included 'Govanhill Baths Burns night' and 'Soup, song and a swally'. The Trust's goal is to re-open the baths as a Wellbeing Centre and contribute to the wider social, cultural and built regeneration of Govanhill as a community through a range of activities. 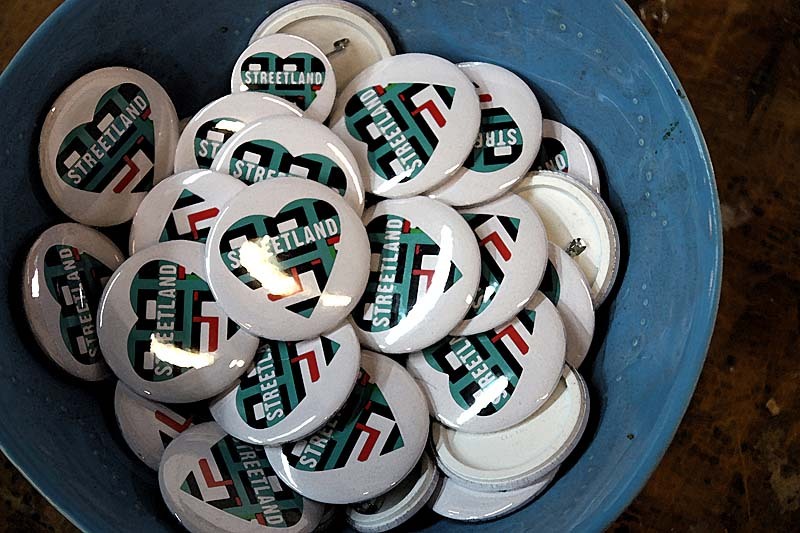 I wish the Trust and the Streetlands Festival organisers the very best for years to come. I hope they open the baths...what a compliment to the community if they do. 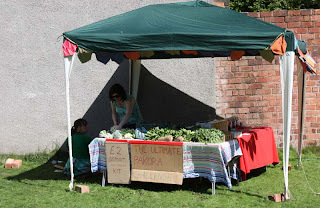 The festival sounds wonderful and I am sure your wild garlic Pakora would have been inspiring and award winning!! thanks for sharing your photos with us, I love community events like this, looks like you had fun! The 'festival' was very small, but i have no doubt it will grow as the years go by. 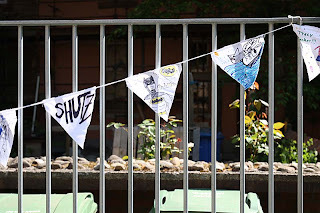 I would have taken more of the 'art work', but i am often nervous, as some artists are quite precious with people taking photographs of their work.